It was edited by Anya Schiffrin; author, journalist, and director of the media and communications program at Columbia University. A collection of long-form investigative journalism from every continent, written over the course of the last century. A group of muckrakers, the guys and gals who risked their careers – and, sometimes, their lives – to expose the general dickheadedness of humanity. Mired in world-changing, career-threatening, life-endangering investigative reportings around the world? Yes, please. In taking the longer view, this book provides an important note of caution to those who seek large and immediate impact. It's clear that journalism is only part of a bigger picture. But when the circumstances are right, journalism does make a difference. If you've consumed any sort of media in the last year, you're almost certainly privy to Edward Snowden's leaks regarding the National Security Agency's spying on American citizens and foreign nationals. 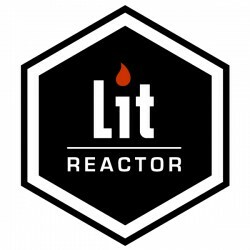 What you may or may not know about that story is Snowden worked with journalist Glenn Greenwald and documentary filmmaker Laura Poitras to expose the NSA's secret global surveillance programs in The Guardian and The Washington Post, who shared the 2014 Pulitzer Prize for Public Service for their reportings on this story. This is muckraking – investigative journalists exposing, among other things, political corruption – both in a nutshell and on a global level. 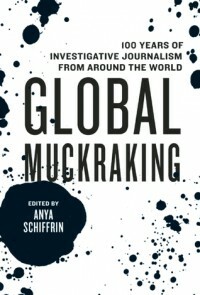 It is fitting then, considering Snowden's story and many others, that Anya Schiffrin's Global Muckraking is out today from The New Press, reminding us that folks like Greenwald and Poitras (and Snowden himself, to an extent) are only the latest in a long line of journalists and activists (jactivists, perhaps?) fighting to uncover injustices across the world. Schiffrin's collection, 47 articles in all, share one common theme in addition to being investigative reports: despite the fact the stories focus on local issues pertinent to their direct coverage areas, they have global implications and bring to light problems we still face today – food shortages, human rights abuses, environmental concerns, corruption in governments and corporations, the list goes on. Global Muckraking is a stark – and oftentimes grim – reminder of the importance of the role journalism and its practitioners play in the checking and balancing of power at all levels of society, in all corners of the world, at all points in history. The internet has given way to a new twist on muckraking with the rise of citizen journalism, but Schiffrin has given a new voice to stories published in newspapers dating back to 1896 that, in time, would probably be lost. It's a worthy piece of nonfiction for anyone with an interest in the historical importance of the newspaper, the changing landscape of modern media, and the brave men and women who fight in what always seems — at first — like a losing battle.